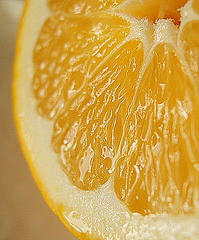 Juice your lemons by cutting them in half and squeezing all the juice out of them into a bowl. You should get about 1 cup of fresh lemon juice. In a large pitcher, mix the lemon juice, water and sugar. Add ice to keep it cold. If you want, put a lemon slice or two into the pitcher to make it look cooler! This recipe makes about 1 half-gallon of lemonade which should be perfect to fill your pitcher once you add the ice. If this recipe does not make enough to fill your pitcher, then feel free to double all the ingredients. It tastes just the same, YUMMY!